This is one of our favorite recipes, it looks like a lot of steps but it's so worth it! Very tasty as written, or try adding more veggies or proteins. This recipe is easily adaptable to vegan or gluten free versions. Go nut-free by substituting sunflower seeds. 1 oz chopped nuts of your choice, our favorite is sliced almonds but also good with pine nuts, walnuts, hazelnuts or hemp seeds! 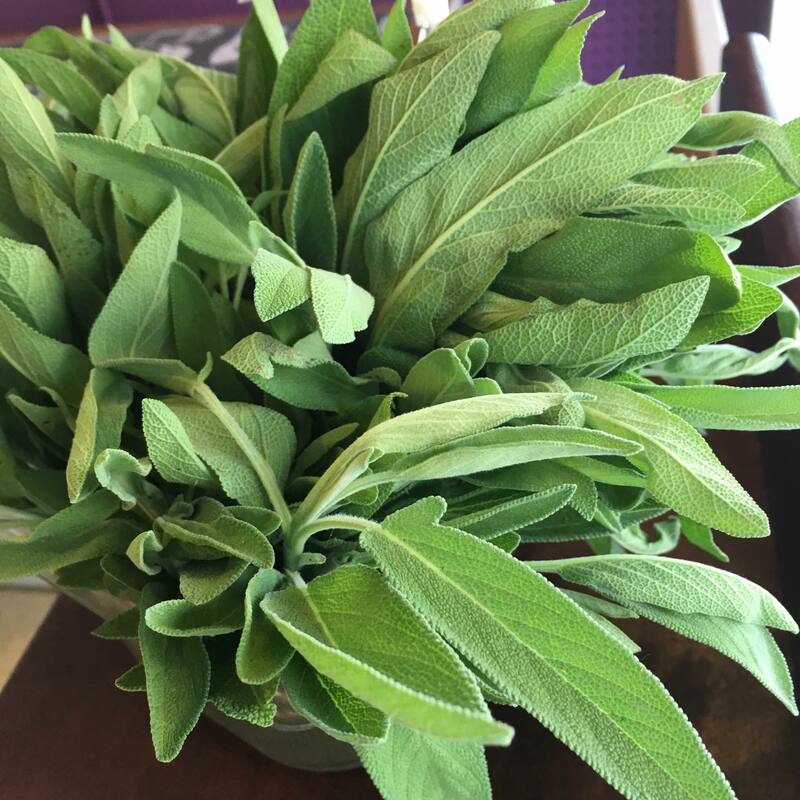 5) discard stems from sage, roughly chop leaves. 6) Chop or tear kale into bite sized pieces. Leave produce to the side. 8)Add a drizzle of olive oil, shallots and kale. Season with salt and pepper, cook about 5-6 minutes, until kale is wilted and tender. Stir frequently, be sure it doesn't burn. 9) Add garlic and cook another minute, until fragrant. 10) Remove kale mixture from pan, set aside in a bowl. 11) Whenever your water is boiling, add pasta and cook to al dente AT MOST, cook a little under what you normally would. When it is done, drain over a bowl, RESERVE 1 CUP OF PASTA COOKING WATER. 12) In the same pan you cooked the kale, Melt your butter over medium heat, add sage and nuts, stir until it browns and nuts get toasty. 13) Stir in pasta and about 1/2 cup of pasta water to the kale mixture. 14) Increase heat to high and let liquid boil and reduce by half. If pasta seems dry, add a little more of the pasta water. 15)Drain canned beans and stir them into the mixture. Add about half the Parmesan and let it get melty and warm the beans. 16) Divide between plates and top with remaining Parmesan. All ingredients available at Common Ground! !